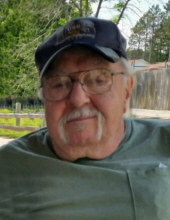 Robert R. Aubry, 73, Oconto, passed away November 28, 2018 at his home. Robert was born March 20, 1945 to the late Beverly Aubry. He served in the US Navy from January 27, 1965 to January 24, 1969 and was awarded the National Defense Service Medal. He was a member of the Seventh-Day Adventist Church, Lena. Robert is survived by two sons, Steven Aubry, Daniel Aubry; three grandchildren, Blake DeDamos, Gabriel Aubry, Alexxis Aubry; the mother of his children, Vickie Aubry. He was preceded in death by his maternal grandparents, Nora and Clinton Aubry. The family will receive relatives and friends at the Chirst’s Community Church of Seventh-Day Adventist, 538 Harley St., Lena from 9-11 AM Sunday, December 9, 2018. Memorial services will be conducted 11 AM Sunday at the church with Pastor Rick Binford officiating. Online condolences may be expressed at www.gallagherfuneralhome.net. To send flowers or a remembrance gift to the family of Robert R. Aubry, please visit our Tribute Store. Conducted by the family. Memorial service by Pastor Rick Binford. "Email Address" would like to share the life celebration of Robert R. Aubry. Click on the "link" to go to share a favorite memory or leave a condolence message for the family.